Other than a thrilling shootout victory over the host team in Russia, Team USA has steamrolled its way into the Quarterfinals. They outscored over matched teams in Slovenia and Slovakia by a combined 12-2. By all accounts, they have emerged as a gold medal contender, if not a favorite. They seem to be exuding confidence and are clicking in almost every aspect of the game. 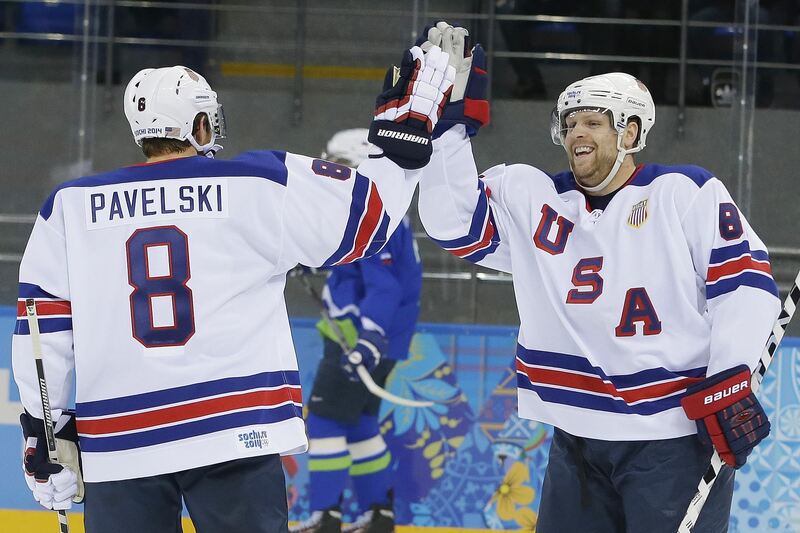 For these very reasons, Team USA should fear their noon matchup with the Czech Republic. The Czechs have not been terribly impressive so far this tournament. They lost to Sweden and Switzerland and managed to beat Latvia and Slovakia. They have some skilled players like Jagr, Hemsky, Krejci, and Elias, but nothing near the talent that Team USA possesses. On paper it looks like this will be a snooze fest, and Team USA can sleep walk into the semi-final round. Upon closer inspection, however, this matchup may pose a bit of trouble for Team USA. First, looking at the history of these two teams, Team USA has lost the last 5 meetings against the Czech's in Olympic play. This Czech team poses the biggest threat thus far to the Americans in terms of great two-way players. Russia has some incredible players in Datsyuk, Ovechkin, Malkin and Kovalchuk, but the Czechs have a more balanced lineup. Krejci and Elias are players that have matched up against, and often times shut down, a player like Sidney Crosby. Let's not forget our favorite Czech, Jaromir Jagr, is in his last Olympics. He may have lost a step, but he still has an amazing shot and release and can be just as deadly. He is also very familiar with playing against Dan Bylsma's system. While I think all of the above reasons should give cause for pause to many Team USA fans, the biggest reason I am worried about this game? Team Canada. Many of these same players remember the agonizing defeat in Vancouver. Looking ahead at the bracket, if Team USA and Team Canada both win their quarterfinal matchup, they will clash in a much anticipated rematch from four years ago. It's a rematch that many of these players have wanted for four years now. If they look past the Czechs and start worrying about Canada, this Czech team has enough talent to beat the Americans. The qualifying round was fun to watch, but now it is for real. The gut "Czech" starts for Team USA today to erase the bad memories in Vancouver.